The Intel Core i7-2670QM is a fast quad core processor for laptops and successor to the popular i7-2630QM. It is based on the Sandy Bridge architecture and offers Hyperthreading to handle 8 threads at once (for a better usage of the pipeline). Compared to the 2630QM, the 2670QM offers higher base and turbo frequencies by 200MHz. Compared to the faster Core i7, the 2670QM does not feature the Trusted Execution and the VT-d functions. Sandy Bridge is the evolutionary successor of the Arrandale architecture. The most noteable improvements are the new 265Bit AVX instructions, the improved Turbo 2.0 and the integration of the graphics card into the 32nm CPU core. Der i7-2630QM offers an integrated graphics card (Intel HD Graphics 3000) which is clearly faster then the older Intel HD Graphics in the Arrandale CPUs. As the new GPU is included in the CPU, it is also manufactured in 32nm and shares the fast level 3 cache with the CPU cores (using a new ring bus). In the 2670QM it is clocked from 650-1100MHz (Turbo Boost). The Core i7-2675QM in comparison offers a higher Turbo Boost frequency of 1200MHz for the GPU part. Furthermore, an improved (compared to Clarkdale) dual-channel DDR3 memory controller is included on the CPU die that is used by the CPU and GPU part. The performance of the Core i7-2670QM should be only slightly slower than the old Core i7-2720QM that offers only a slightly higher Turbo Boost frequencies. Therefore, even demanding applications and games should run without performance problems. 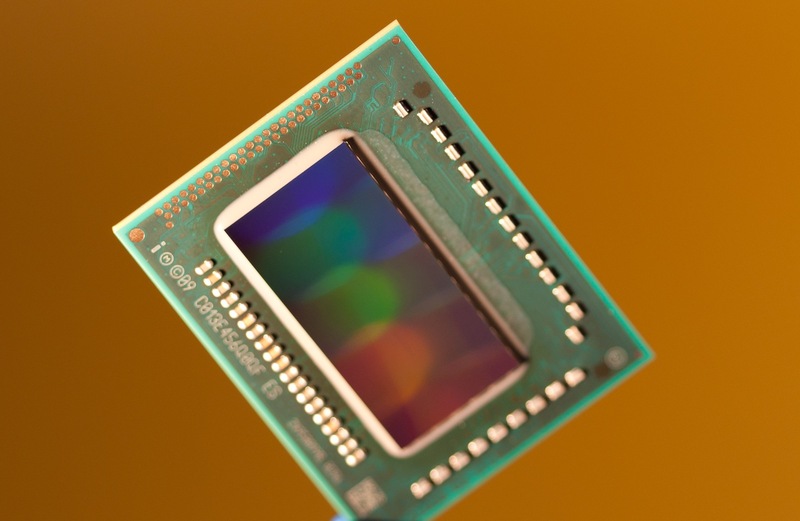 The quad core CPU is still rated at 45 Watt TDP but now the integrated graphics card is also included (compared to the old Clarksfield Quad Core processors).